Do you enjoy working with people? Do you have a desire to help people improve their lives? Do you have an aptitude for science? Are you interested in the human mind? If so, a career in psychology could be for you. Psychology is the study of the human mind and human behaviour, with branches that include behavioural, cognitive and social science. It is a challenging and rewarding field of study. Key skills for psychologists include communication, critical thinking, problem solving, observation and perceptiveness. Psychology graduates are also highly sought after in many occupations. With a psychology degree you could find yourself working in community or mental health, human resource management, policy development, research, welfare, education, marketing and advertising. There are many training options available to you if you decide psychology is the right career path for you. 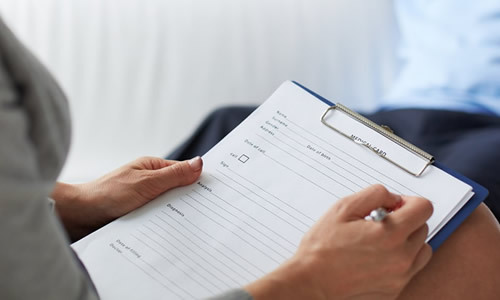 Some qualifications represent the first step into clinical psychology or a specialist area such as organisational, health, counselling or sports psychology. Others provide a basic grounding in the concepts of psychology and human behaviour, and lead to related careers such as human resource management, policy development or social work. A Bachelor Degree is the basic qualification in psychology. This qualification usually takes three years to complete. You will begin by learning basic concepts in psychology, and moving on to more complex concepts. Subject areas vary, but will often include social psychology, developmental psychology, personality traits, cognition, psychological measurement and abnormal psychology. Some qualifications have a strong focus on practical skills in psychology. You can expect to learn how to write reports and design and develop research projects. Further training is required if you wish to become a clinical or specialist psychologist. A graduate diploma is usually the minimum requirement for areas such as mental health or counselling. In Australia it takes at least six years of study to become a registered clinical psychologist. Some qualifications are accredited by the Australian Psychology Accreditation Council (APAC). As a psychology graduate, there are many career paths open to you. Your skills will be in demand in the fields of human resource management, social work, education, policy development, mental health, marketing and advertising. You may decide to pursue postgraduate study and become a clinical psychologist. Or you may focus on another specialised area such as criminology, psychiatry, forensic psychology or sports psychology. Job prospects for psychology graduates are excellent, according to Australian government statistics. Employment in psychology rose strongly in the last five years and very strongly in the last 10 years, and is expected to grow very strongly until at least 2019. There are currently 25,000 psychologists employed in Australia. The pay for psychologists and related careers depends on training and experience. The average pay for a clinical psychologist is $75,000 per year. A recent graduate in clinical psychology can expect to earn around $45,000 per year. A mid-career clinical psychologist will earn around $82,000; while the pay for a senior clinical psychologist, with more than 10 years' experience, can be as much as $130,000 per year. Pay rates will differ for psychology graduates employed in non-clinical environments or in different fields.